Don’t just take our word for it. In a survey of household employers conducted by GTM Payroll Services, it was clear that hiring a nanny through an agency rather than using an online job site saved time, boosted retention, and reduced the hassles of bringing on board multiple nannies over a short period of time. According to the survey, 64% of those that hired through an agency said the hassle-free process and time savings was a top reason they decided to work with placement professionals. Agencies also aim to put forth the best matches for their clients as 87% of families said security and the screening of candidates was a top reason for going with an agency. The supposed benefit of using an online job site is a wider selection of candidates. However, 65% of respondents who used an online job site said the “number of responses from unqualified candidates” was one of the biggest drawbacks of going online to find a nanny. Sifting through applicants that don’t match a family’s criteria can add time and frustration to the hiring process. A family that goes through an agency rather than an online job site when hiring a nanny will get a better quality nanny, one they’ll keep for longer, and they’ll spend less time finding the right match. 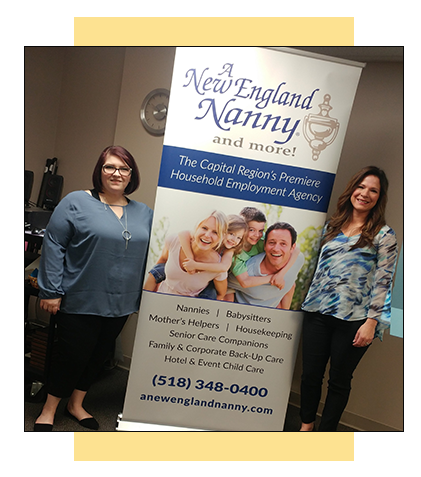 For example, the survey found that 30% of families that hired through an agency had their current nanny for more than 3 years, while only 18% of those that hired through a website had their nanny for the same length of time. Also, 67% of agency-using families had one nanny in the past 5 years, where 51% of website-using families had just one nanny in that time frame. Finally, 61% of families that used an agency spent less than 20 hours on the hiring process, while only 33% of those who used a website spent less than 20 hours on the process. And that’s why we’re here! Let us spend the time finding you professional, responsible, trustworthy candidates to interview, and rest easy knowing we do thorough background checks, reference checks, and employment checks so you don’t have to. Plus we’re always here for advice and support during the employment of your nanny. Read more about the differences between using our agency and hiring on your own, and contact us if you have any questions.